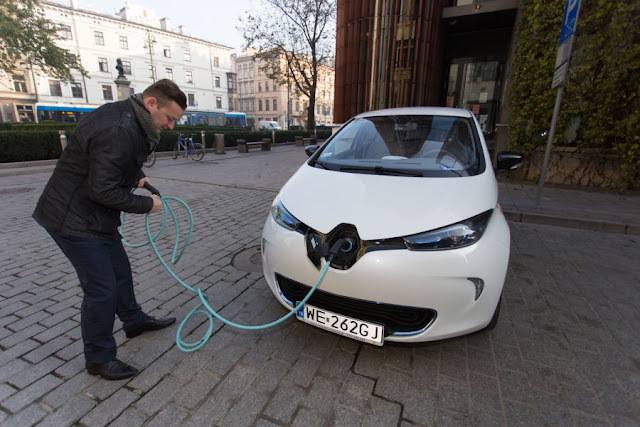 drivingandlife: THE FORECAST FOR ELECTRIC CARS IS? HORRIBLE! THE FORECAST FOR ELECTRIC CARS IS? HORRIBLE! From Facebook comes a very well-written forecast on our future as motorists, once we’re saddled with nothing but electric vehicles. Peter Levett, who lives in Darlington, England, clearly understands the confusion and chaos ahead of us. But, this is not so much a Doomsday treatise, but rather a common sense look at the challenges. "I do so hope that I'm still alive in 2040 when all new cars will be electric. "I want to see the chaos and Health & Safety issues when people who don't have a garage or off road parking have cables strewn across the pavements (and maybe half a mile down the road to where the nearest parking space was when they came home last night). "Also where is all of the extra electricity going to come from as, from what we're told, the power stations and the national grid are already running to full capacity? "Will the yobs of the time be cutting and knicking all of these copper cables, and where is all of the copper needed to make them going to come from? And come to that, where is the lithium needed for the batteries going to come from? And what about the environmental damage that is caused by copper and lithium mining? "What will happen when hundreds of people get stuck on the motorway in winter when the batteries (which are less efficient in cold weather), are unexpectedly flattened by heaters and lights? Will the AA/RAC have electric vehicles too? If so how will they cope with towing 3 ton cars to the nearest (available) chargers? "What happens if the chargers are all in use when you get to where you're going and don't have enough power to get back home? Will there be queues of people pushing their 3 ton battery cars looking for an unoccupied charging space? Will there be 'charging rage' with people fighting in the streets over who's turn it is next? Interesting! Looking forward to more such posts. Thanks for the details. I just found Electric car buyers guide and got to know about various features and advantages of electric cars. If anyone here is interested in getting EC then they should also read that informative guide. Thanks for sharing this informative article. Create an EV charging policy that is easy to scale beyond the first EVs driver so that you can accommodate more people over time. INFINITI Q60 S Red Sport - A BEEFIER, BETTER Q? BMW 530e - ANOTHER CHINA EXPRESS?